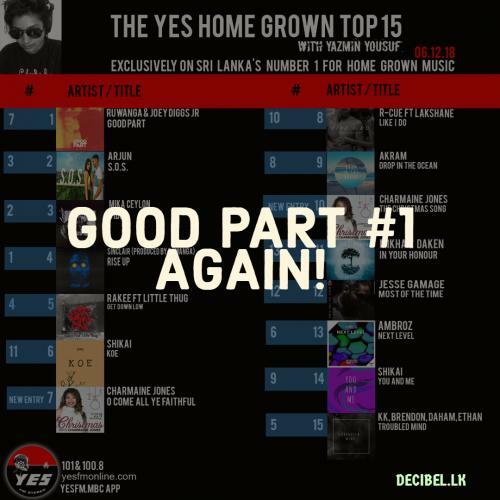 ‘Good Part’ Is Back At Number 1! 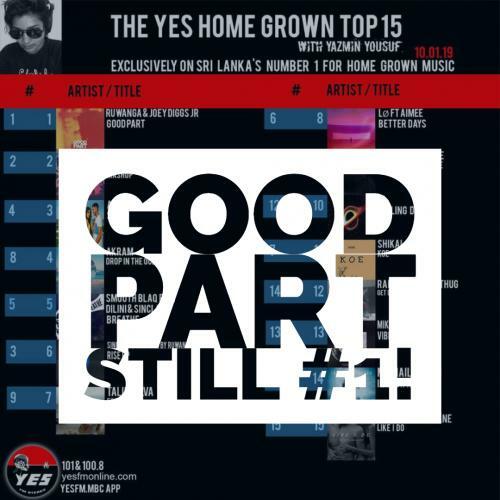 ‘Good Part’ Still @ Number 1! 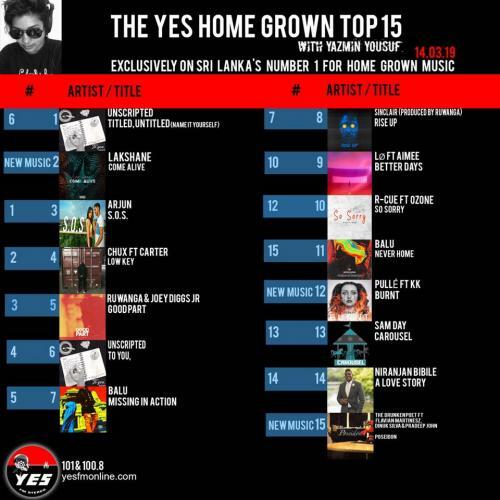 Ruwanga & Joey Diggs Jr Are On The Top Again! 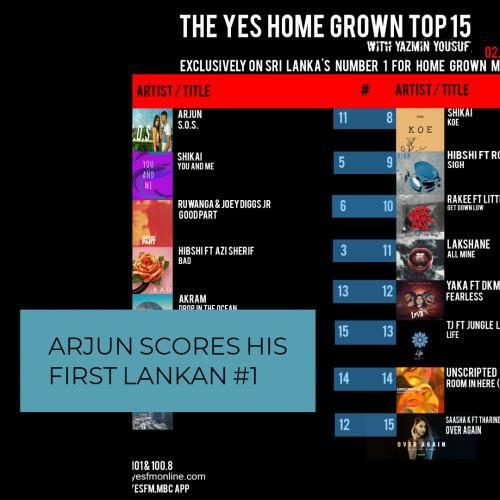 The singer/songwriter and performer hit number 1 for the first time in Lanka on The YES Home Grown Top 15 with a single off his debut album ‘Closer To Home’. 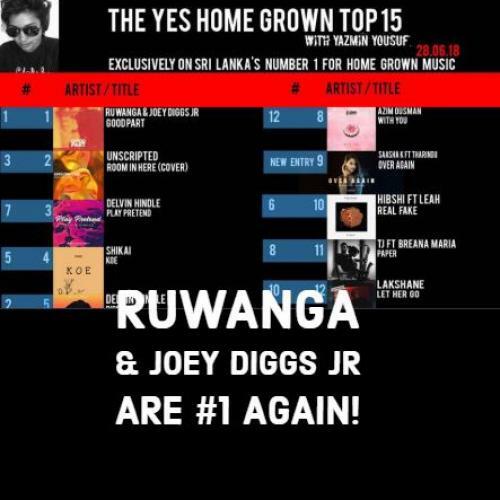 Ruwanga & Joey Diggs Jr Are Number 1 Again! 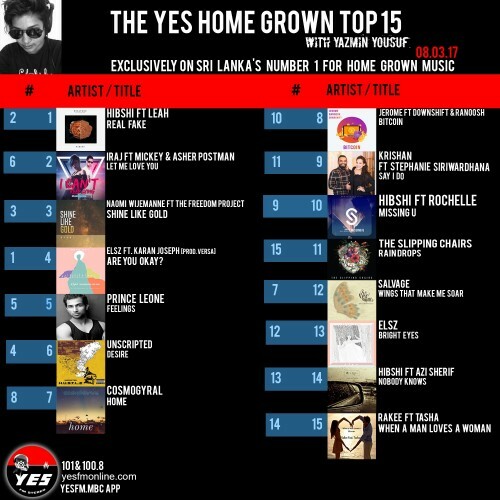 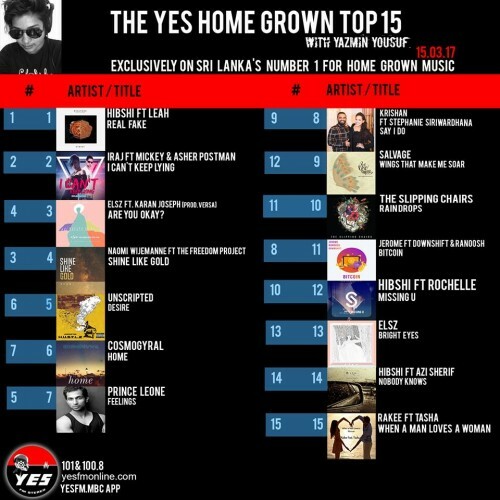 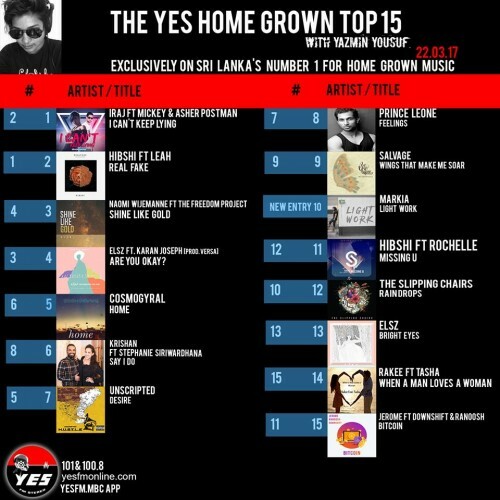 Their collaba “Good Part’ on the YES Home Grown Top 15 refuses to budge from the top spot, marking a second week on top Sri Lanka’s Biggest Home Music Countdown. 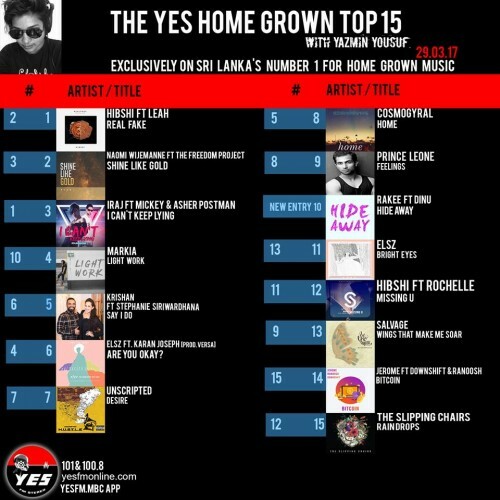 Hibshi & Leah Hit Number 1 Again! 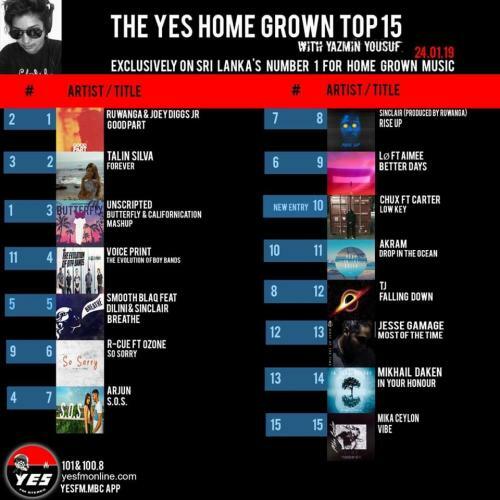 After spending a week away from number 1, they are back at that big daddy top spot, knocking off Iraj’s monster collaba with Mickey & Asher Postman to number 3.